How will you retain them after? A Marketing plan will become a go-to document during the most critical stages of your company. It will help you to coordinate your efforts and your ideas to achieve your company’s growth goals. 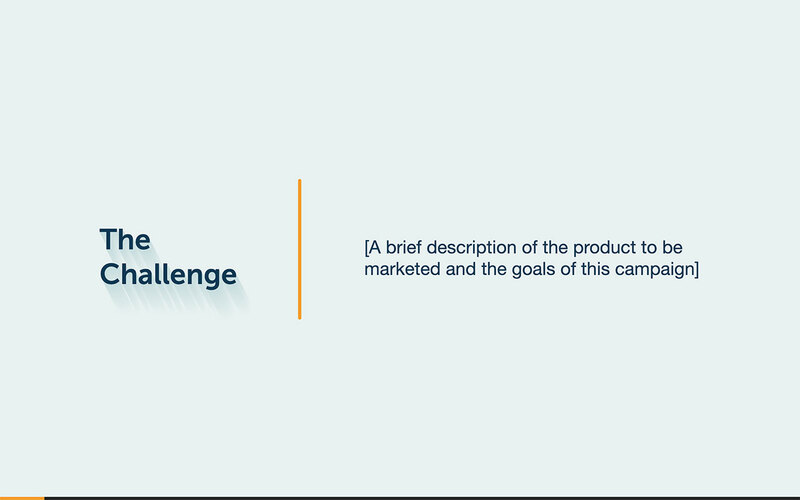 Check out this beautifully designed Marketing Plan template and start thinking about what’s next for you and your team. What’s included in this marketing plan template? Make sure to include the goals you set for your company. They will define your decisions, timeframe, and strategy. When establishing your company’s goals, evaluate where you are standing in the existing marketing and always set realistic, but challenging goals. In some cases, a target may sound like something tough to achieve or grasp. To avoid feeling overwhelmed or frustrated, divide the biggest goals into small and reachable milestones. This will help, not only to sense that it is not impossible to accomplish, but it will keep you and your team always active and working. Each approach will vary according to the product or service you are offering. What they all may have in common is a unique selling proposition (USP); what is your company best at that no one else provides? Be very thoughtful when deciding on your USP, since it will often be stated in emails, ads, websites, face-to-face meetings, etc. Ensure that your brand presence is as strong as it can be by defining your distribution channels, an SEO strategy, by creating outstanding content, etc. 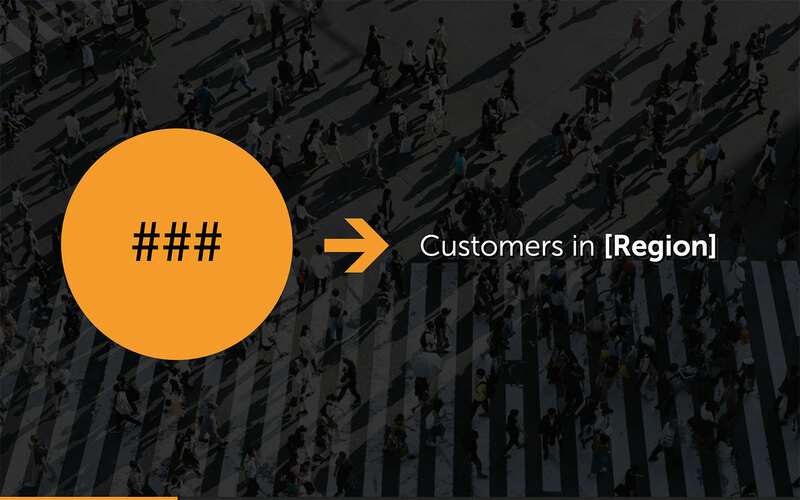 Specify who your customer is: age, gender, interests, level of education, etc. Having understand who your target is, will make it easier for you to establish which type of advertisement you want to create and through which channels you’ll distribute it. Nowadays, if you are not online, you don’t exist. 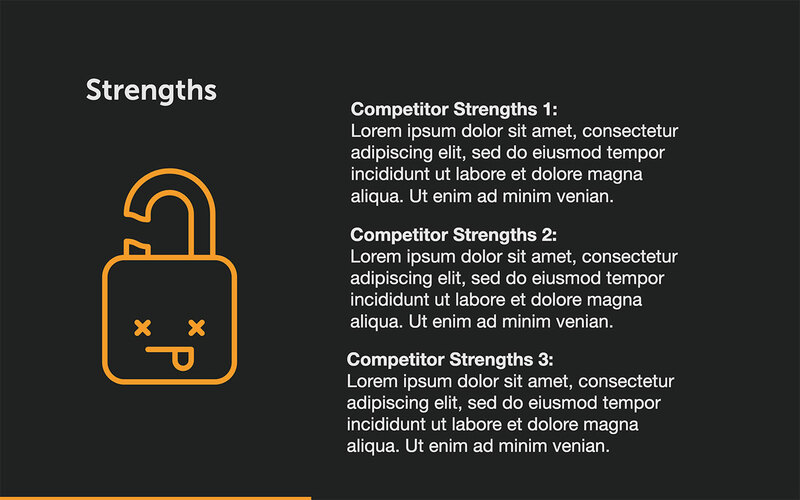 Take some time to identify the Keywords you’ll want to optimize your website for. And yes, you NEED a website that looks good and that exposes your services in a clear and functional way. You will need to invest some time and money to build one, but it will be worth it. Learn everything you can about SEO (Search Engine Optimization), to make sure your website shows up first with a quick Google search; this will guarantee traffic to your website and new customers. Finally, create a Social Media Strategy. Select the channels you will use to deliver your message and discuss with your team how to use them properly. It’s not about having a presence on every possible channel, (this is useless and expensive) it’s about being in the right ones. We all know that it is always better to keep your friends close and your enemies closer. Get to know who you are competing against: their weakness and strengths, their USP, future endeavors, etc. Everything you can get your hands on. Keep this information up to date. Weirdly and awkwardly, you and your competitors are in this together. You will need to join forces to defeat your competition. Look for possible partnerships with companies that sell something that complements your product. For example, if you are selling travel experiences, it could be profitable to join a hotel, some restaurants, an insurance company, etc. You will find this potential “new friends” when analyzing your customer’s journey. What will they do before and after they buy your product? Your Marketing Plan, as its name says, it’s a plan. You will always need to adapt it to what actually happens. There is not a way to predict the future. Think of it as a reference more than a bible. Feel free to adjust it, to discard the ideas that no longer apply, and to update its information when needed. 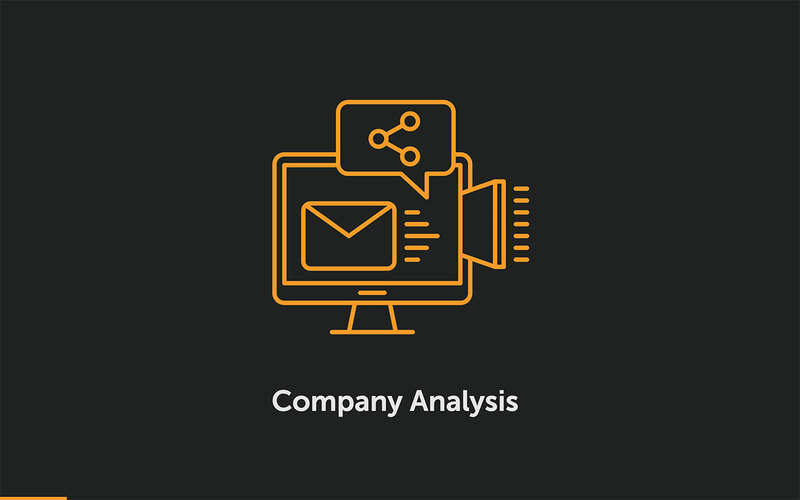 Company analysis — where you assess the profitability of your company, products, and services — tells clients and investors about the potential growth of your business. 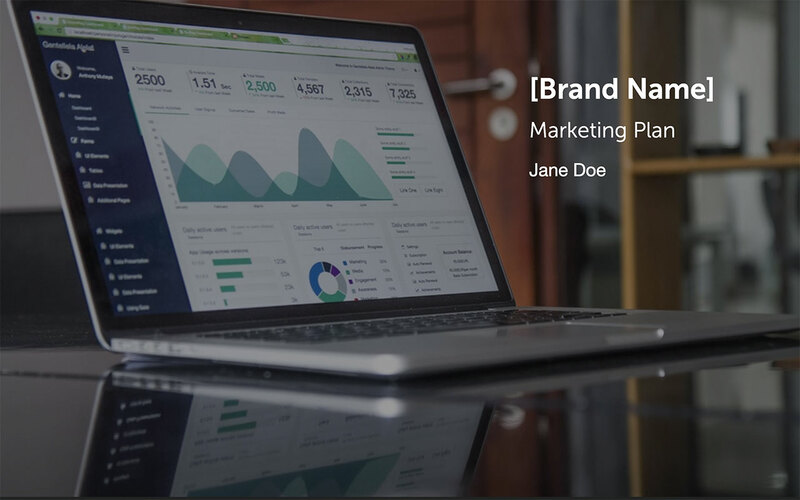 This is the perfect introduction to your marketing plan, especially when you include the strengths and weaknesses of your brand. Creating goals is a critical component of your marketing plan and provides valuable insights into your campaign. Set measurable marketing goals that are realistic: reducing the time it takes to get a product to market, expanding a product or service line and increasing brand awareness are three of the most common business goals. You might want to include sales projections in your plan, too, with details on how to achieve top-line sales growth. 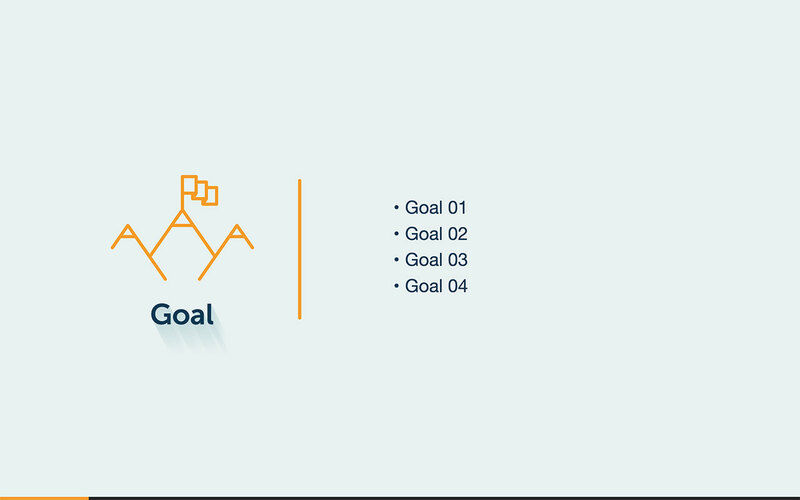 Our marketing plan template has space for you to list several goals and showcase your business objectives. Investors love to know what makes your business tick. 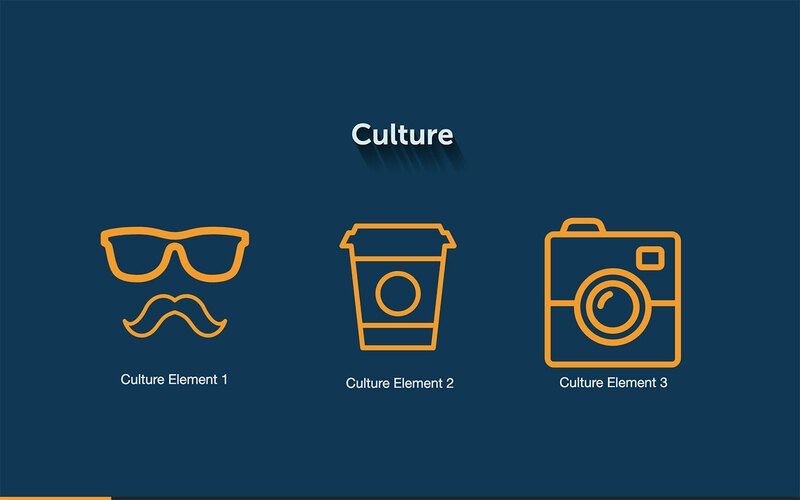 Company culture — the collective behaviors and beliefs of the employees in your business — influences employee satisfaction, business growth, and customer service, which can make you more attractive to clients. Include details of your company culture — staff morale, cooperation, teamwork — in your marketing plan. 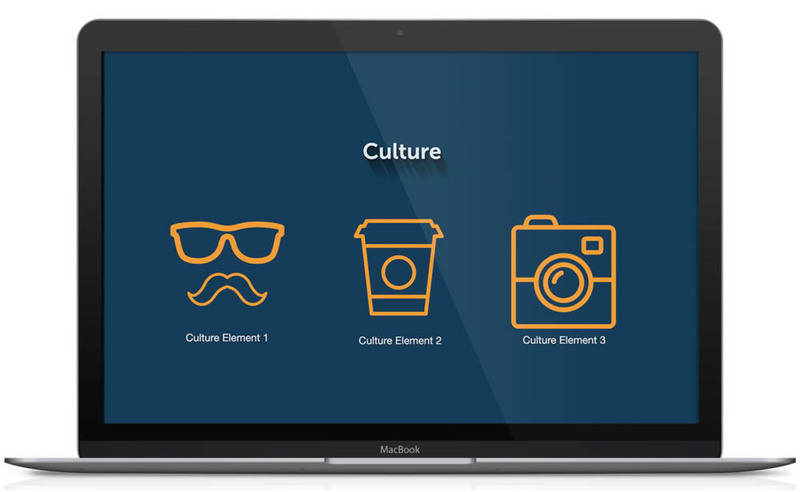 Our media plan template lets you list three company culture elements. 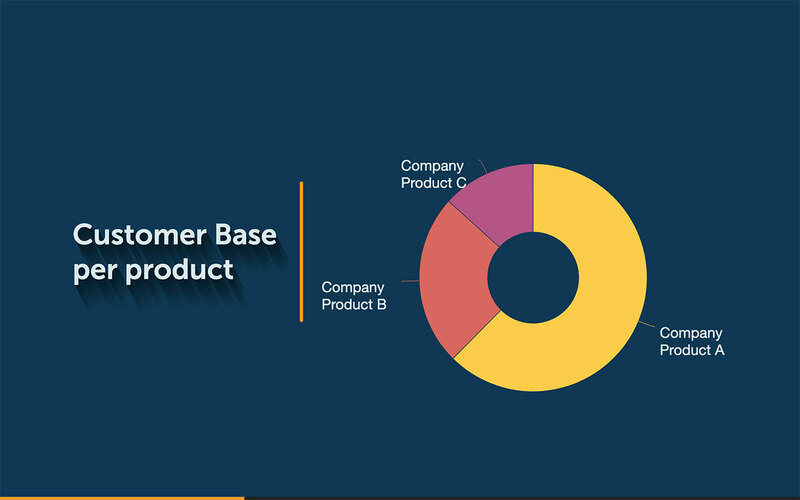 Our colorful pie chart — completely customizable when you use our marketing plan template — lets clients and investors know how you perform in your niche relative to your competitors. 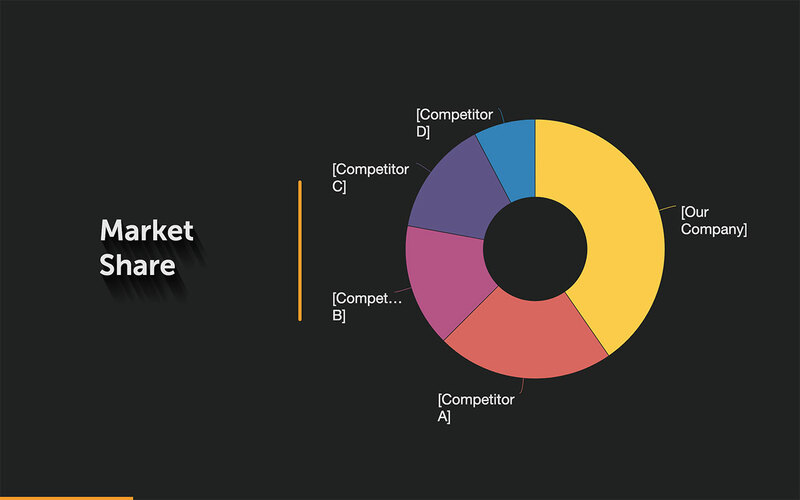 This graph tells your audience how you plan to dominate your market. 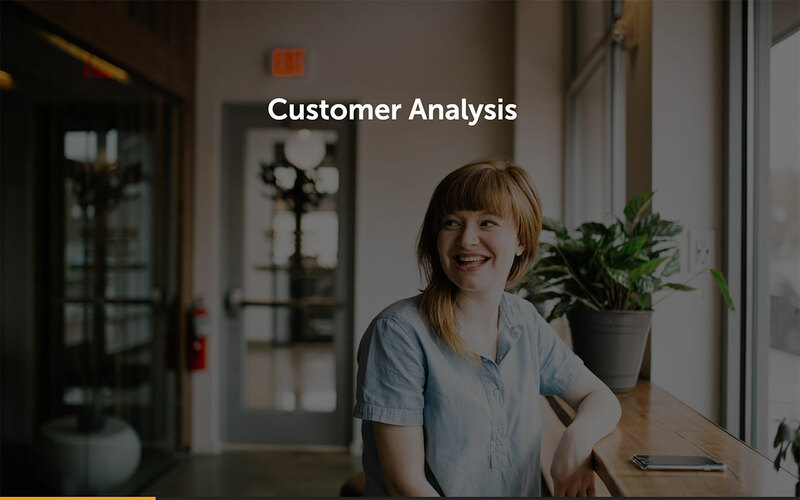 Customer analysis demonstrates how well you understand your target market, and how your campaign will be tailored to suit the needs of these consumers. Studies show that 80 percent of customer-facing brands don't understand their customers beyond basic demographics. Buck this trend and impress clients with your in-depth knowledge of your customer base in your marketing plan. “Customer analysis demonstrates how well you understand your target market, and how your campaign will be tailored to suit the needs of these consumers. 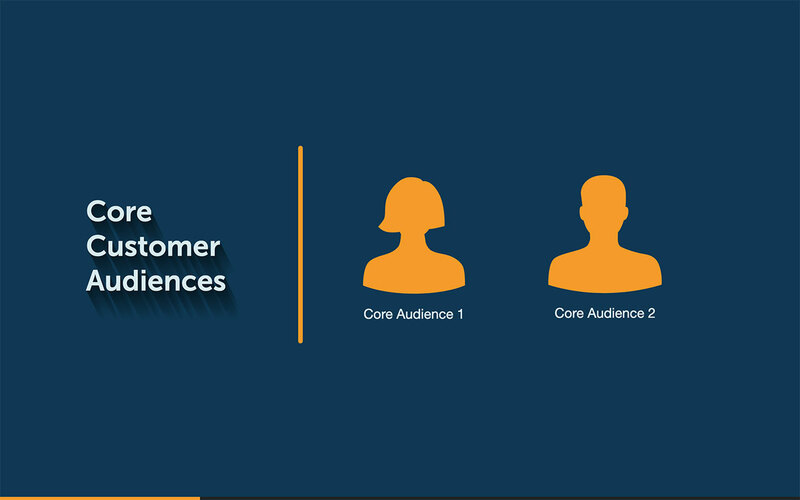 Include a behavioral profile of your customers in your marketing plan, focusing on the collective experiences, interests, and habits of consumers in your target market. 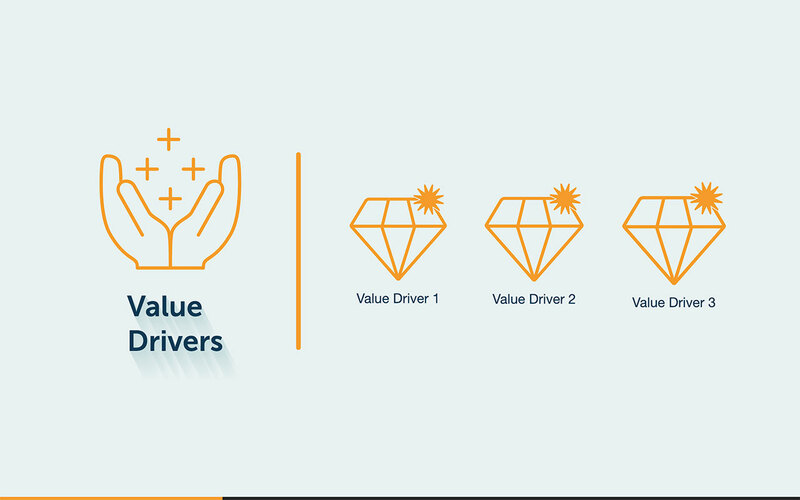 Value drivers are components of your campaign that add value to your customers: problem-solving, customer service, technology, quality. List three value drivers in your marketing plan that outline the benefits of your product or service. 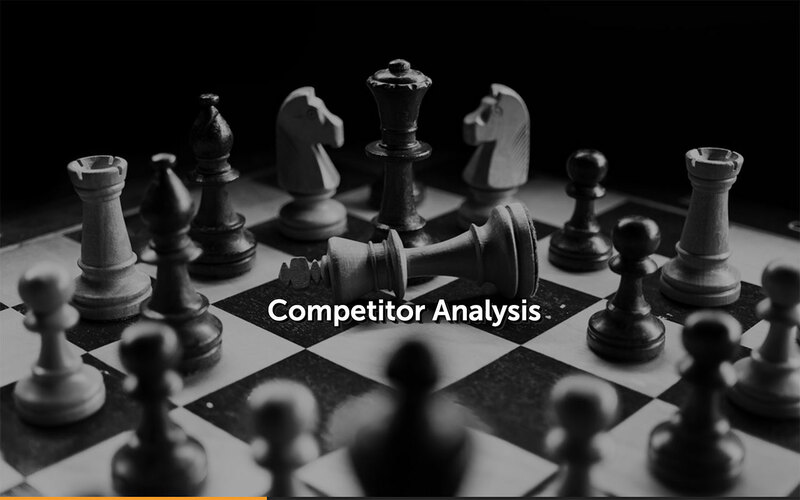 Competitor analysis — an assessment of the strengths and weaknesses of competing brands in your industry — provides you with an edge over your rivals and proves you understand your niche. 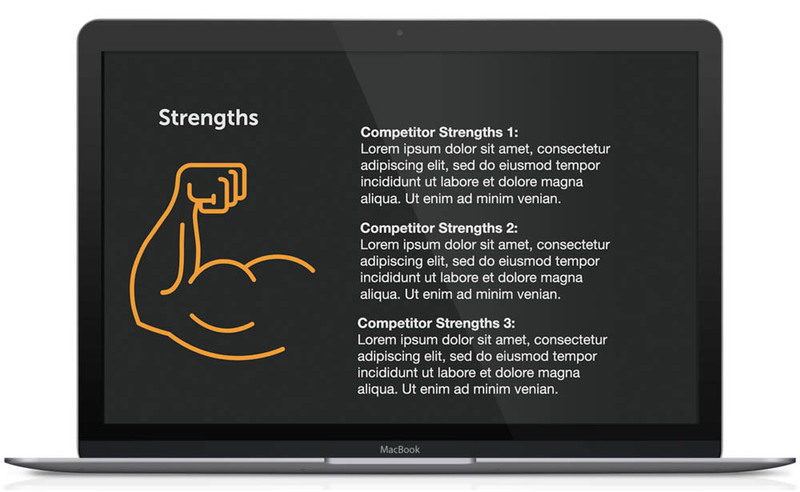 Our marketing plan presentation template lets you list three competitor strengths and three competitor weaknesses so clients can ascertain your current position in the marketplace. Distinguish different subsets of your demographic with market segmentation. You can segment your customer base by geolocation, interests, income and purchasing behaviors, and outline these details in your plan. Your marketing strategy lists all of your marketing goals and objectives in one place. Only 66 percent of marketers had a marketing strategy in 2013, according to software brand Marketo, so having a long-term strategic plan could attract interest from investors and clients and help you outrank your rivals. Our marketing plan sample has room for you to include your current marketing strategy and discarded strategies. Pricing is a fundamental element of your marketing plan. Price your product too high and investors will balk; price it too low and you might not be taken seriously. Our template has slides where you can outline cost estimates, as well as bundles, discounts or leasing options. 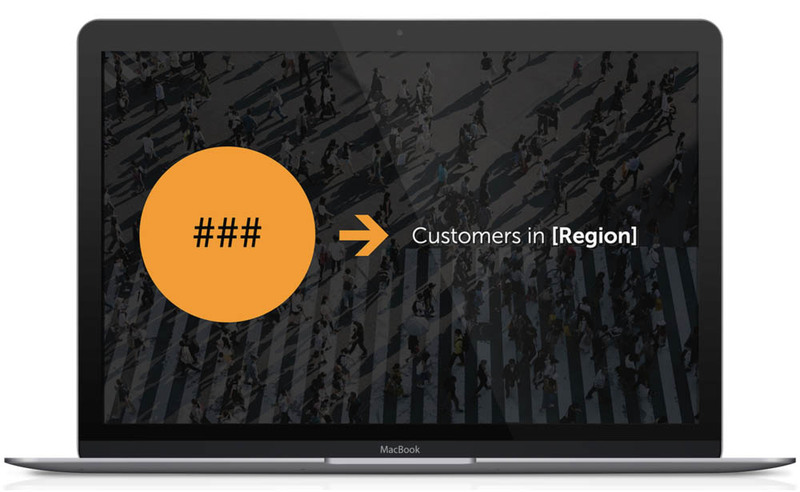 Listing possible distribution channels — retailers, intermediates, wholesalers — highlights each phase of your sales chain, and demonstrates how your goods and services will reach the end-user. 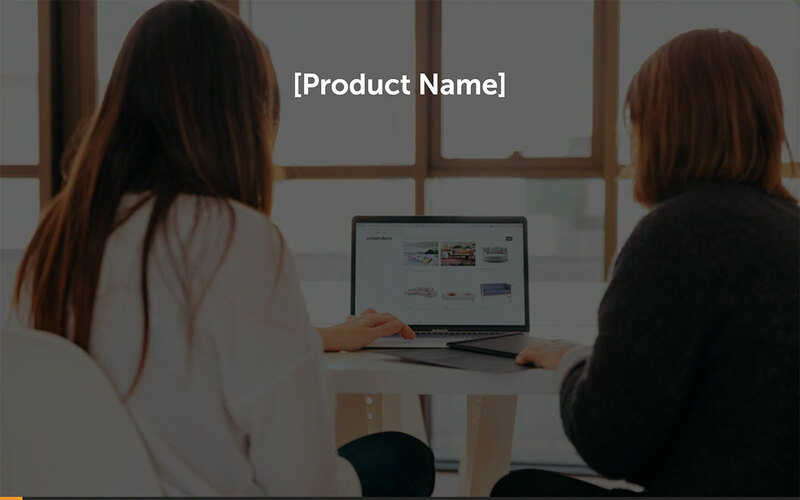 Our template lets you record three distribution channels so clients can see how you plan to deliver your products, as well as core locations. How you market your product is just as important as distribution. $592 billion was spent on advertising in 2015, and investors will want to know your promotional plans. Our marketing plan template informs potential clients about the marketing channels — print, broadcast or digital, for example — you plan to use. 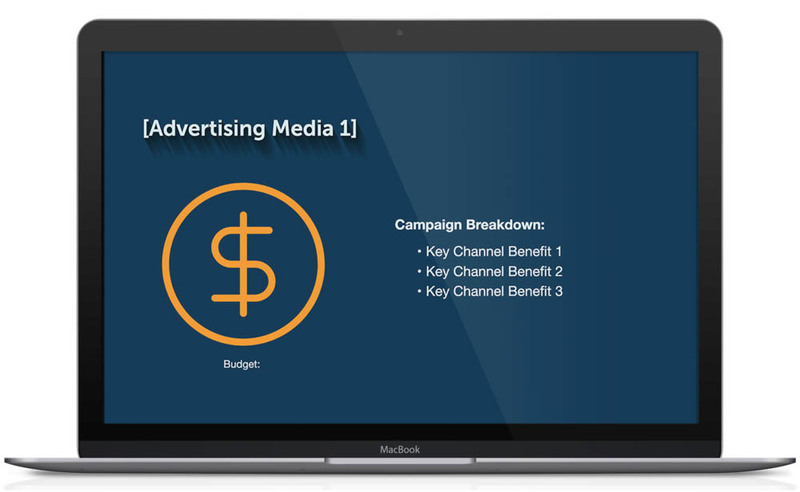 You can break down your campaigns by budget and list the benefits of potential marketing channels in our template. Include the projected results for each marketing campaign and the amount you plan to spend on paid advertising and PR, too. 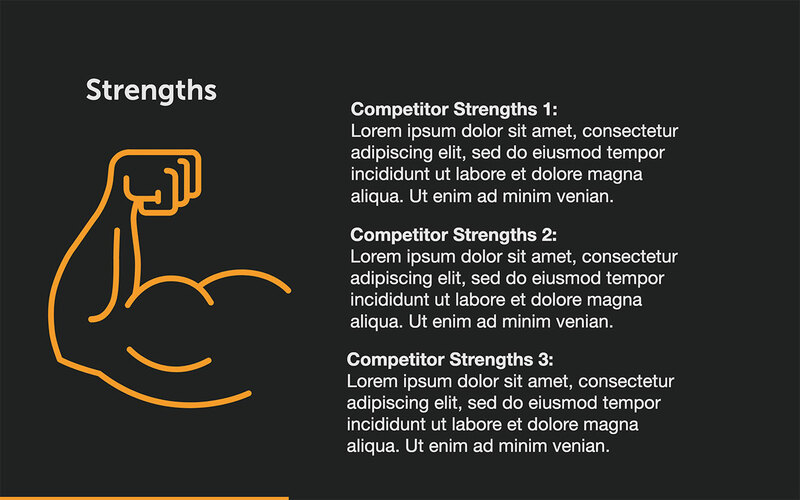 Create an easy-to-read campaign reach chart that will wow your audience. This graph tells clients how many consumers you plan to reach over various stages of your campaign. Face it, creating a marketing plan is a chore. 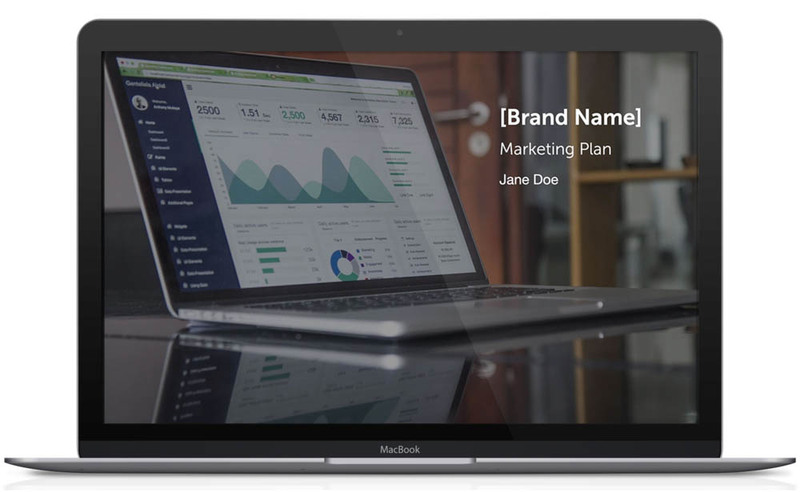 Here at Slidebean, our easy-to-use template lets you identify essential marketing activities in one place. You don't need to create a plan from scratch, nor scour the Internet for fancy graphics. Our eye-catching, colorful slides have space to include specific metrics that are crucial for your campaign plan.